Do you have one of these? Then you are an accepted citizen of our debt nation. If you don’t, then you don’t exist. Just kidding. Of course, you exist but as far as this ridiculous system is concerned if you don’t have a credit card then you’re an anomaly. I currently live liquid without use of credit cards. I don’t buy what I can’t afford and I don’t spend what I don’t have. Seems reasonable, right? One would think this is an ideal and practical way to live. However, you can’t believe how difficult it is to navigate this society when you don’t live on credit and debt. Yesterday, I had an absurd transaction with trying to rent a car. I have some friends in town from various places around the world and I was playing tour guide around Silicon Valley. I had made a reservation online and thought everything was copacetic until I showed up at the car rental kiosk. I won’t name any company names here because it was almost a blanket experience with every one of them. Anyways, I show up at the kiosk and the person working the counter asks for my credit card. I give her my debit card and she says to me that she needs to run a credit check before renting the car to me. I thought to myself, “Huh”? I asked her why and she said it was how things are done. I countered by saying that’s not a reason, so I asked again why. She said it was company policy. I reiterated that wasn’t a satisfactory reason so I asked again why. She finally admitted she didn’t know and said the system would do it automatically. This was actually a reasonable and honest answer so I stopped pushing the subject. Poor lady had no idea who she was dealing with. I’m not the type of person who accepts policy without a legitimate reason. I decided to not rent from this particular company and started flexing my problem solving muscles since I only had 30 minutes before I had to pick up my friends. I know most people would have just accepted this dilemma and had their credit run, but my personal feeling is this feeds back into the debt loop and we need to start openly questioning these policies. I called the customer service of the company next to where I was standing. I could have gone over to talk to the counter representative, but felt this would be a time waster. The person on the phone told me that their company didn’t accept debit cards unless I could show proof of round trip plane or train travel. Again, I thought, “Huh”? What was deal here? I asked if this was going to be the case with every other company and was told pretty much, yes, except for one company, so onwards I went to the kiosk for that one particular company. I was finally hopeful I could get the car I needed, but lo and behold there was another issue. The kiosk at the airport had the same policy of proof of travel when using a debit card, but the representatives told me that their agencies within city limits would rent to residents with only debit cards if I could show a utility or internet bill. My brain was pretty much expelling itself out of my ears at this point. Why was it so hard to rent a car without a credit card? Out of curiosity I asked why all the companies had debit card policies in place and I was told it was because of the concern of theft of their cars. With a credit card there is a trail that they could follow if the car was not returned. With debit cards it’s harder for them to track you down. This was interesting to think about. Basically, data collection has infiltrated our lives to an extent that we cannot escape it without consequences to our normal everyday transactions. 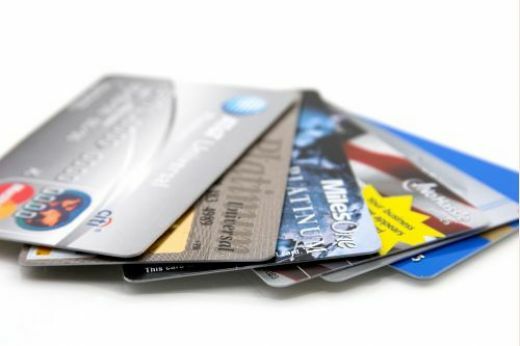 Credit cards are a way to keep tabs on you. Maybe they should start printing credit cards with the Eye of Sauron on them so we know we’re being watched. I was running out of options fast, but then out of nowhere a hero emerged. Actually, it wasn’t that dramatic. The very last counter representative to my left overheard the conversation and the representative said that they wouldn’t have any issues getting me the car I needed. I hurried over and started the rental process. Somewhere deep down I was waiting for another road block, but this time there were no ridiculous policies to jump over and I was on my way just in time. During this time, the guy helping me suggested that perhaps I get a secured credit card somewhere. Basically, put money into an account so they can hold it as collateral and issue an actual credit card against it. What?! Isn’t that basically what a debit card is? The only difference is that a credit card gets you into a trackable system and enables the credit card companies to hold your money or try to get you into debt along the way. Absurd…and not in a wonderful way! The whole experience has left me flabbergasted at how we have come to this point as a society. Living on credit and debt has become so accepted that to actually live a normalized life of practicality and reason is beyond the scope of our understanding. I wonder if my issue would have been mitigated if I had a tracker implanted in my body somewhere. Then the eye in the sky would know where I am all the time. I’ll tell you this. I refuse to be a citizen of this kind of world which is why I have slowly moved off the grid. Democracy should not be compromised with intrusion of privacy. When this happens trust erodes and democracy is no longer pure. Disagree if you will, but before you do, think about how much you have compromised along the way to live the way you do. Have you stopped being asked to make more compromises? Have you?